I've been looking forward to watching this film for a very long time, so when I finally got to watch it I was seriously excited. Every time I sit down to watch a British Horror film I get a little nervous, I think it's because I'm British myself and I get this thought of "Please don't let the side down". I've always been like this, I don't know why but I also can't seem to stop it. Luckily for myself and the viewers of the film it doesn't let us down, not one bit. This film is one of those that the less you know about it the better you're viewing experience will be, something that I'm sure you'll agree is not just hard to review but also something that seems to be lacking with today's releases. It's not the only thing I have to praise it for, oh I am full of praise for this feature. 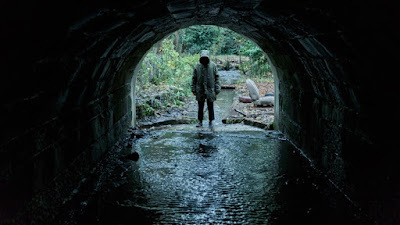 The film is smothered in an eerie atmosphere that just never stops, the script is seriously clever and it doesn't dumb itself down or treat its audience like a bunch of idiots, it certainly keeps you on your toes. It does have an ending that will not satisfy everyone but I for one loved it, it certainly fit the films tone. I must admit that I am seriously shocked that this feature wasn't advertised a whole lot more before its release and that it hasn't garnered widespread attention from Horror fans on the internet. In my opinion this is a film that people have been screaming out for yet it seems to have fallen through the cracks somehow. "Ghost Stories" is a film that I'd highly recommend you watch, especially if you're after something different than the norm. I highly doubt that you'll be disappointed. 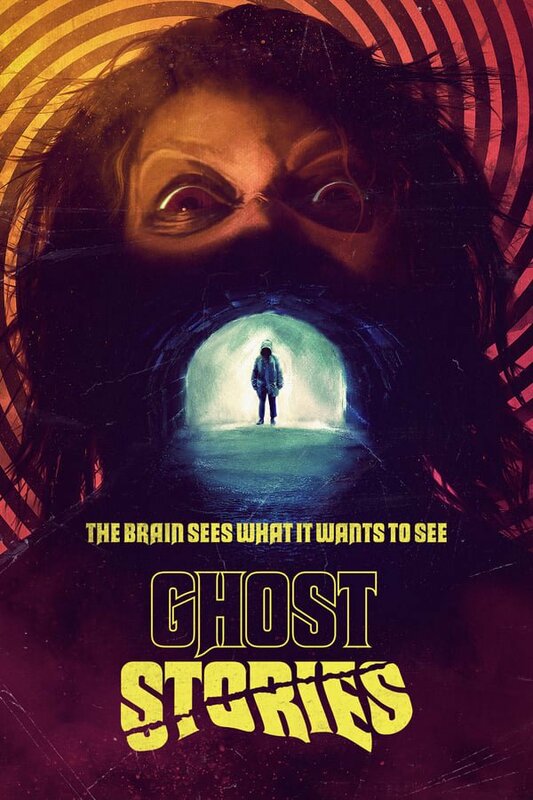 The title of the film was misspelled as "Ghost Storeis" in much of the pre-release media. 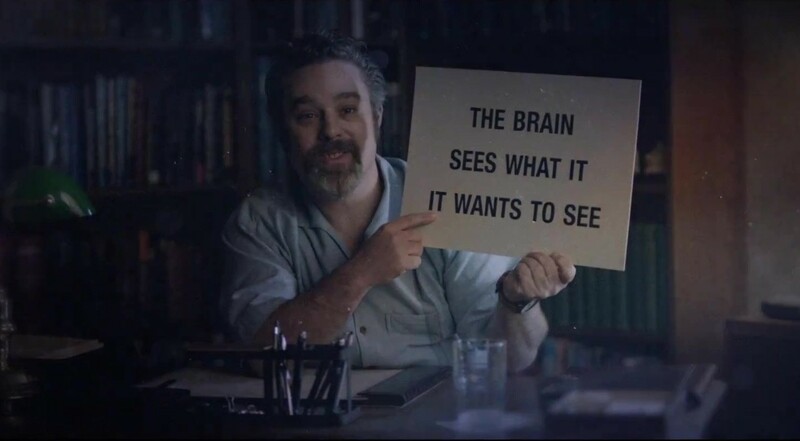 This was done to accord with the production's tagline "The brain sees what it wants to see"
Based on the West End play by League of Gentleman writer Jeremy Dyson. Both Andy Nyman and Jeremy Dyson's feature film directorial debut. The exposing of the psychic at the beginning is based on a real event. Televangelist and supposed faith healer Peter Popoff was caught by skeptic amd magician James Randi. Popoff would have people fill out prayer request cards before events. Randi was about to intercept radio signals from Popoff's wife, feeding him information off the card. 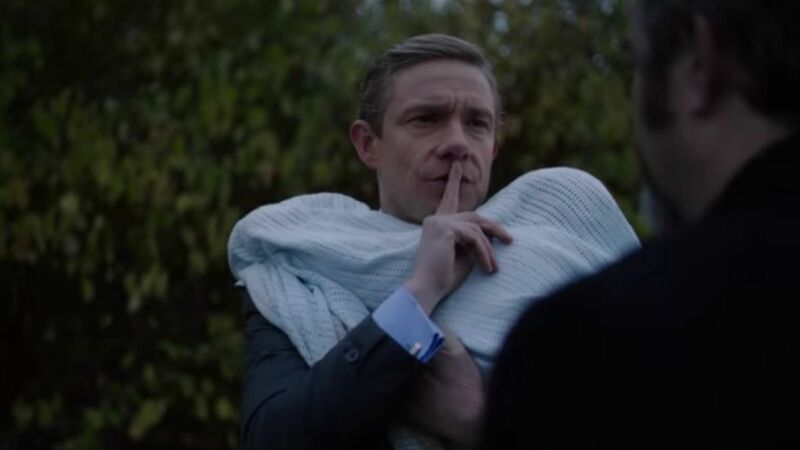 One of two 2017 horror movie feature films starring actor Martin Freeman. The pictures are 'Cargo' (2017) and 'Ghost Stories' (2017).